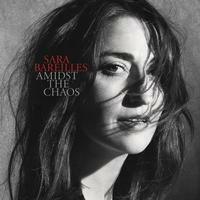 Includes "Armor," "Fire" and "A Safe Place To Land"
Sara Bareilles achieved mainstream success in 2007 with her hit single "Love Song," which peaked at No. 4 on the Billboard Hot 100 chart. Her last few years have been intense and the release of her new 2019 album, Amidst The Chaos, shows that she has a lot to say. "I actually really loved turning back inward to tell my story again," she shared on Instagram. Bareilles' last album The Blessed Unrest, produced the hit single "Brave." The album debuted at No. 2 on the Billboard 200 chart. The album was nominated for Album of the Year, and Bareilles was nominated for Best Pop Solo Performance for "Brave," at the 2014 Grammy Awards.